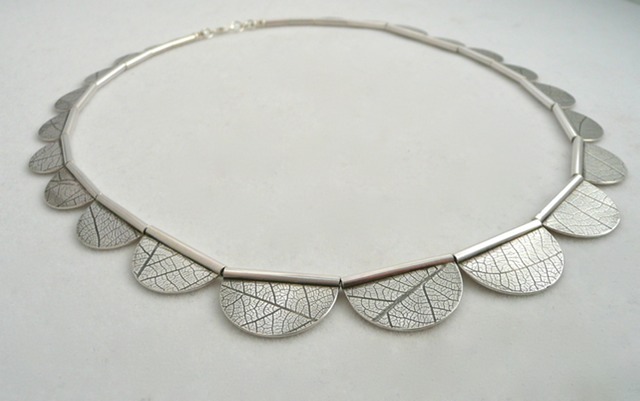 “Scalloped Collar”, roller printed sterling silver. 18” necklace, 2013. Sold.